Homeschoolers use grids for various purposes, everything from making lesson plans to comparing in literature studies. These grids are unlabeled. 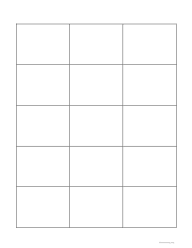 The Grids are in two basic formats, two column off center and the multi column evenly spaced. 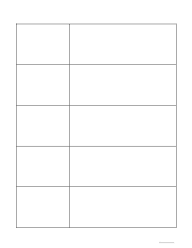 The 5 x 6 grid grid lends itself well to lessons plans and lunch menus. Two 4x4 grids, one with space between rows and one with no spaces.